If you’ve read my About Me Page, you know that I originally started Chow Down USA as strictly a food blog! Back in my hometown of San Francisco, CDU had its humble beginnings as simply a way for my friends and I to document the restaurants we dined in for ABC Dining. 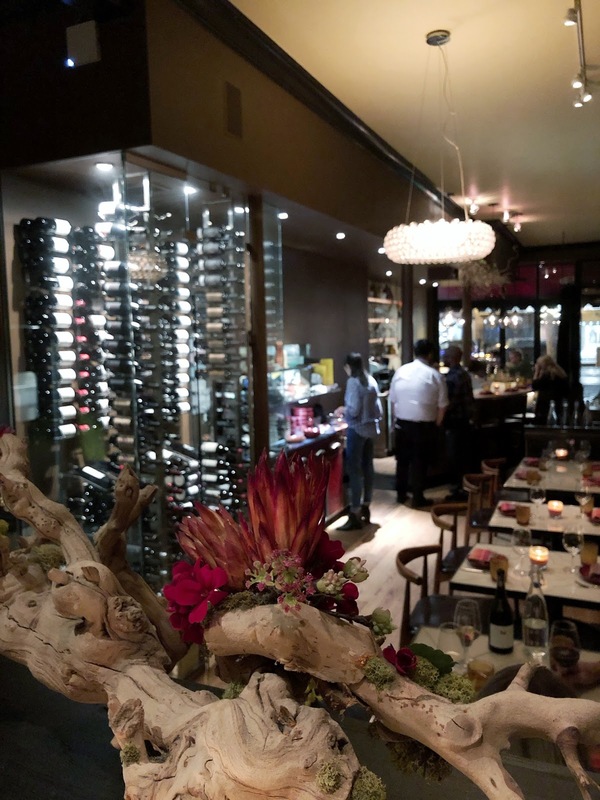 San Francisco is renowned for its great restaurants, so it was fun to try a couple of new ones while I was back in town after the Anaheim Wedding! 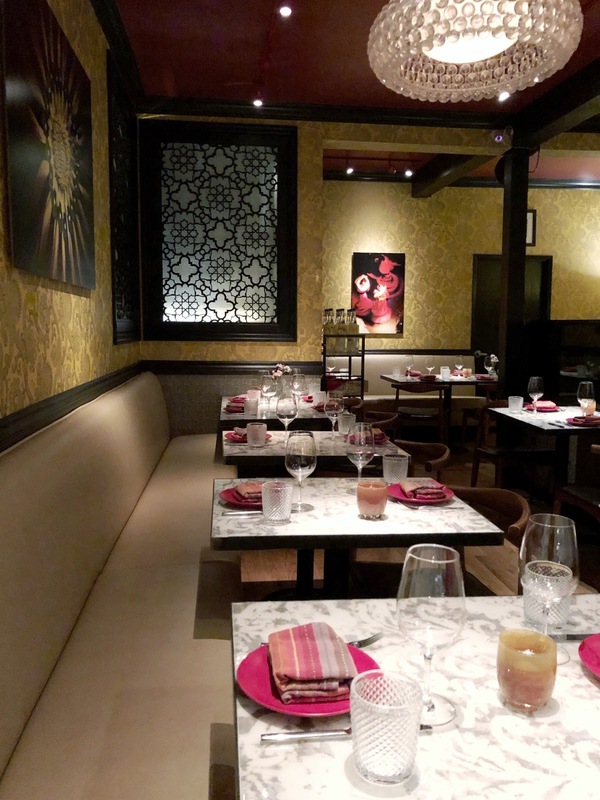 Lale is a beautiful restaurant in the Inner Sunset with a bright, open feel. The name means tulip in Persian, hence the fresh flowers gracing each table. I came here with a couple of friends for brunch, and we were really impressed with the beautiful presentation of the dishes, topped only by how delicious they all were! 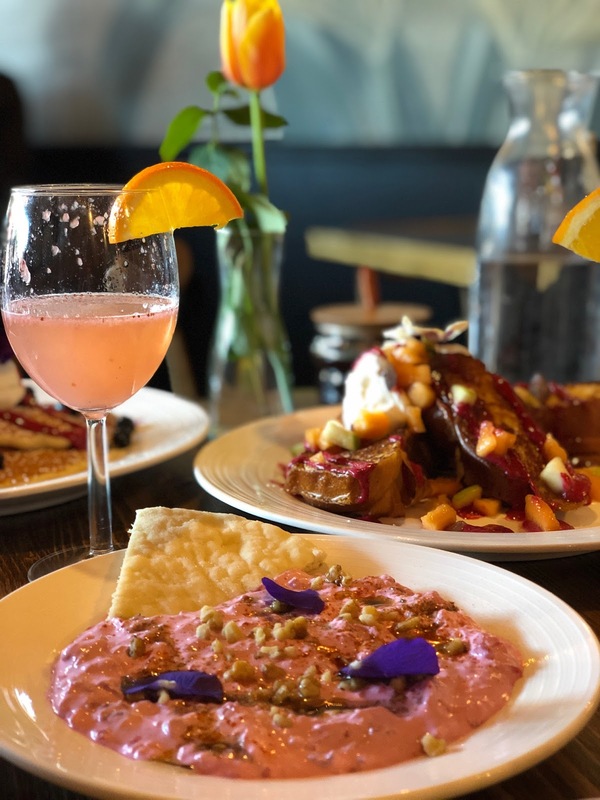 We could not stop raving about the starter – this pink beet-yogurt dip with walnuts, garlic, purple flower petals and pita bread to soak it all up. It even matched the freshly pressed strawberry bellinis! The ricotta stuffed french toast is the perfect comfort dish for a foggy SF day. I don’t think I’m physically capable of saying no to blueberry pancakes. Eggs benedict holds a special place in my heart. The poached eggs run perfectly into the cracks of the English muffin, and you get so many flavors and textures in each bite. I’m not a big fan of polenta – something about the texture – but my friends loved this one! It was clear why there a line out the door for brunch at Lale. The ambiance was so relaxing, the manager was super helpful and our server was the sweetest, the presentation of the dishes was artwork, and the meal tasted even better than it looked! 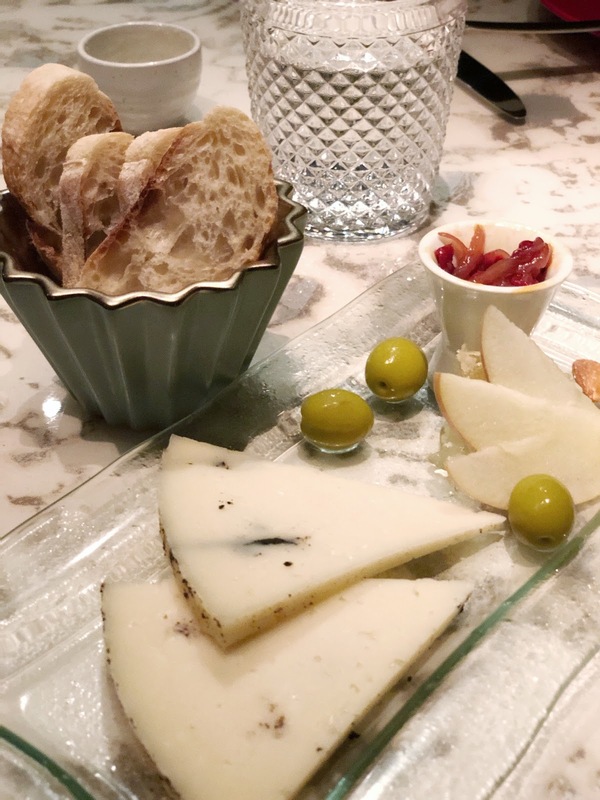 I took my dad to Canela Bistro & Wine Bar which specializes in Spanish tapas! 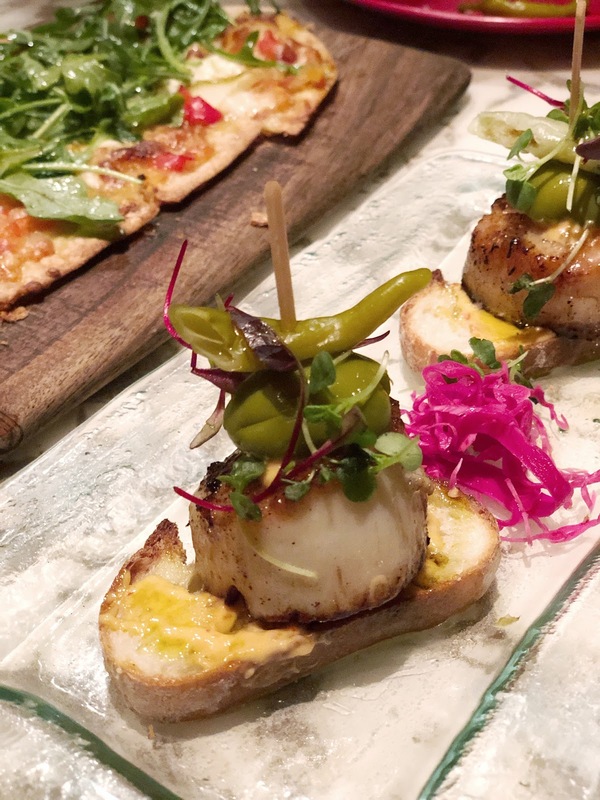 I love tapas because you get to try a lot of different dishes instead of being stuck with one big entree the entire meal. The interior is so fun here – muted, intricate decorations make for a feast for the eyes in every direction. They have a great collection of top wines under $50! It’s starting to be a tradition that my dad and I order olives as a starter if they’re on the menu. They’re refreshing, tart, and healthy! How fun is this gold dish they came in? 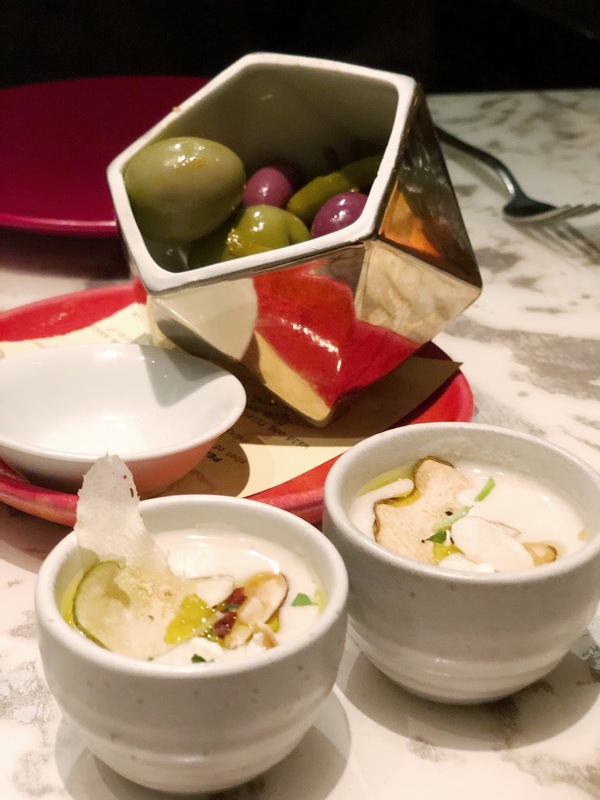 Also shown are these little gazpacho soup shots – if you’re a fan of feta these are a must try! This was one of my favorite parts of the meal because #cheese. With truffle shavings, sourdough bread, honey, and apple slices, this was heaven on a plate! 10/10 would recommend! Ah, croquettes. Perhaps my favorite dish of all time – rivaled only by pizza and maybe chocolate if that’s considered a dish. 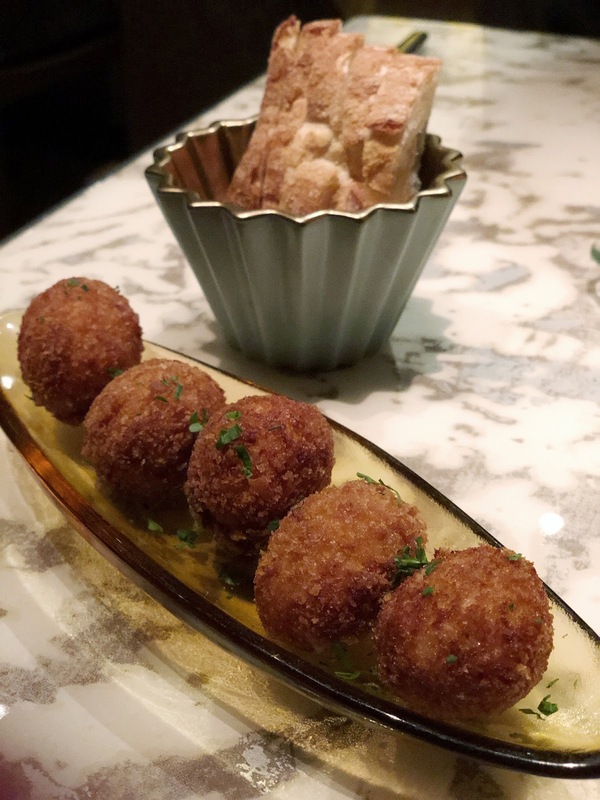 Croquettes are basically fried cheesy goodness. For one of my Friendsgivings this year, I made mashed potato croquettes with garlic, green onions, and cheddar. They were a huge hit and I want to make them again soon! If you ever see these on a menu, definitely order them, you won’t regret it! Fun fact: this restaurant used to be an Italian venue, so when Canela bought it they kept their pizza oven! 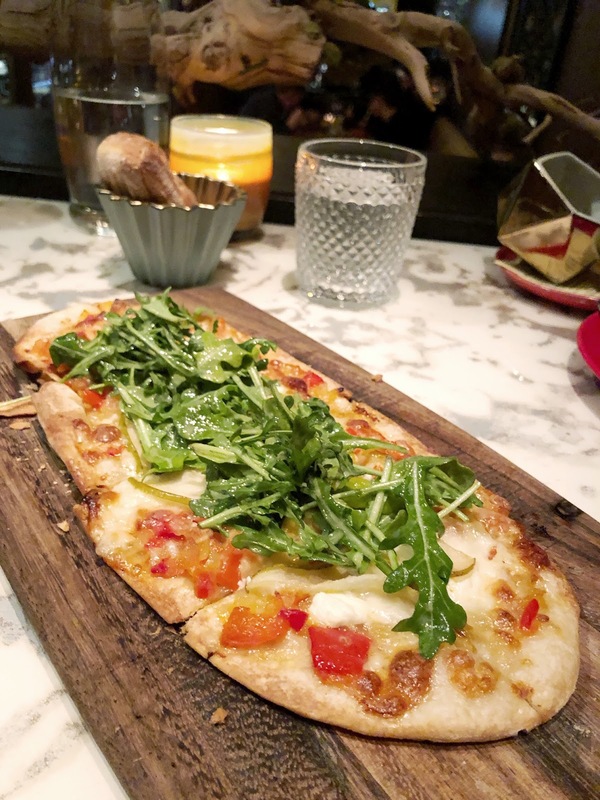 They now create authentic Spanish flatbreads in the pizza oven and they’re delicious. I love scallops – these were the biggest ones I’ve had! We were so stuffed by dessert but of course made room to try the ice cream. 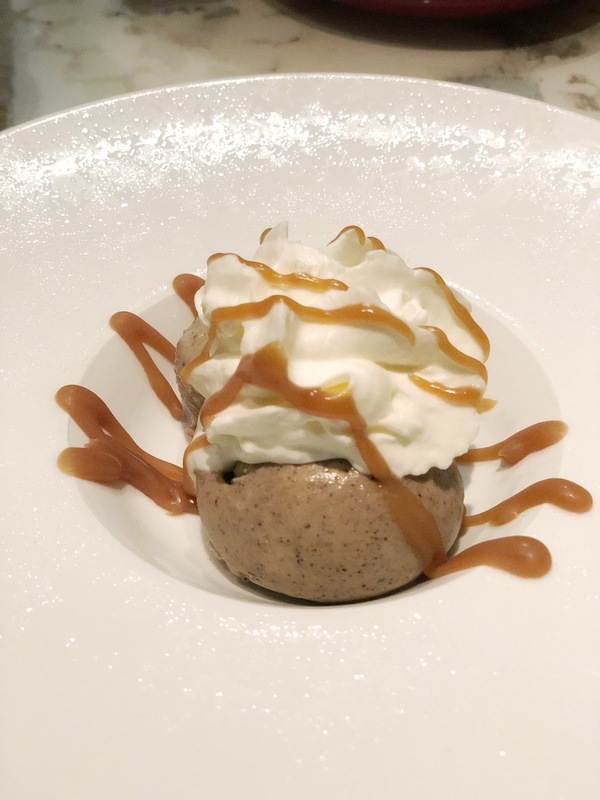 So glad that we did, because this cinnamon espresso ice cream with caramel and whipped cream was amazing! The cinnamon really made it perfect. 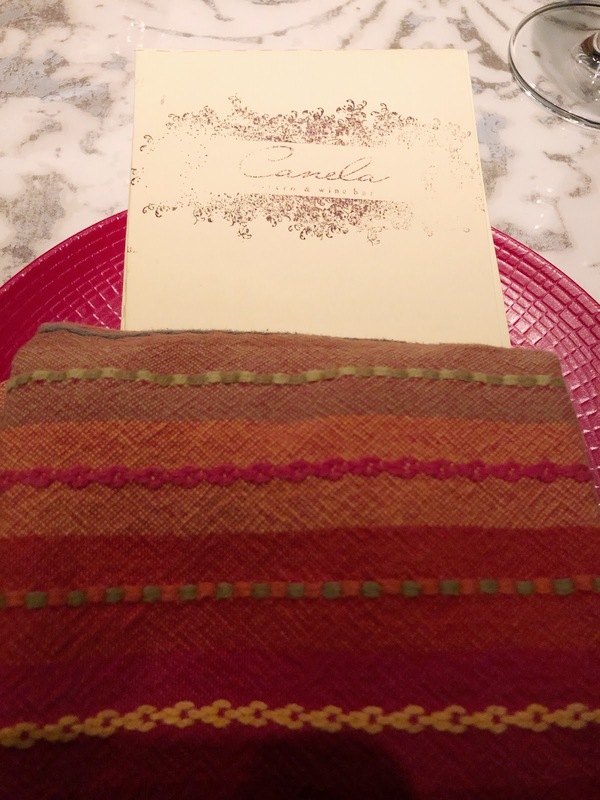 Canela is such a fun spot, located in the heart of the Castro near Brewcade. On Sundays they have their Spanish Paella so be sure to try that if you’re in the area! Paul is the general manager who took care of us for dinner, and you can tell he truly cares about the patrons and the dishes in Canela. Check out my other foodie posts here!